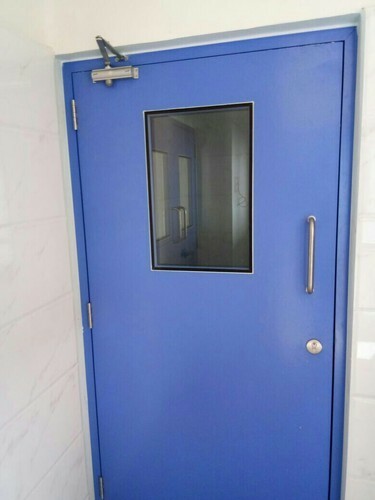 “VK Clean Rooms” is a Partnership firm engaged in Manufacturing of Clean Room Doors, Glass View Panels and Clean Rooms, We are Installation Services for Door. VK Clean Rooms, established in 2016 has emerged as a leading firm engaged in the Manufacturing of Clean Room Doors, Glass View Panels, Clean Rooms, Clean Room Modular Panels and Clean Room Pass Box. We are providing Installation Services for Door. Our products are known for their aesthetic designs, strength, high durability, easy to install and maintain.